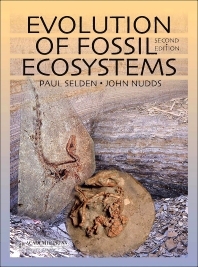 The first edition of Evolution of Fossil Ecosystems was widely praised for its coverage and approach in describing and illustrating 14 well-known fossil sites from around the world. The authors have now updated the text and added 6 new chapters with many new color illustrations. Following a general introduction to fossil Lagerstätten, each chapter deals with a single site and follows the same format: its evolutionary position and significance; its background sedimentology, stratigraphy and palaeoenvironment; a description of the biota and palaeoecology; a comparison with other similar Lagerstätten; and a list of relevant museums and suggestions for visiting the sites. This study of exceptionally well-preserved fossil sites from different periods in geological time provides a picture of the evolution of ecosystems through the ages. Provides value to a wide range of students and professionals in palaeontology and related sciences. Highly cross-disciplinary and has appeal for UG/grad students and professionals in palaeontology / palaeobiology, evolution, sedimentology, stratigraphy, earth sciences, biological sciences and environmental sciences.